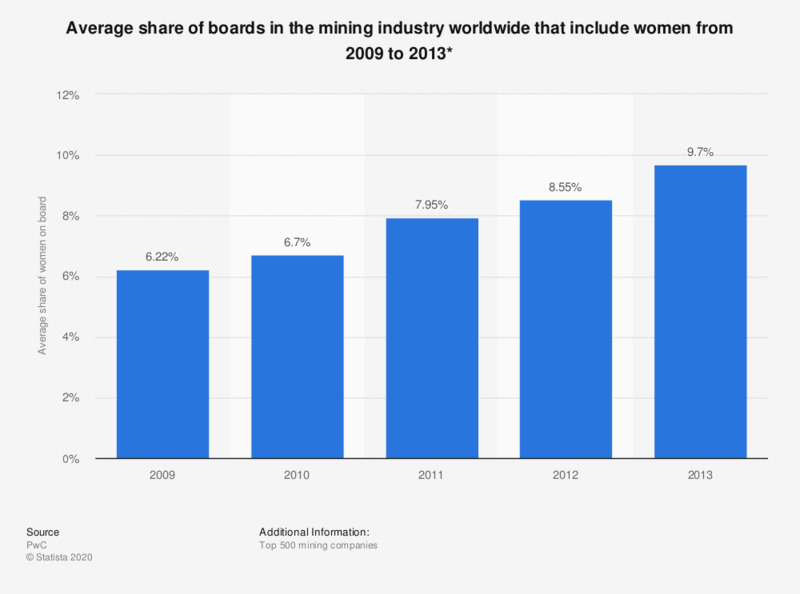 This statistic displays the average percent of women on boards in the global mining industry in the top 500 listed mining company that included women from 2009 to 2013. In 2009, only 6.22 percent of boards in the global mining industry (top 500 companies) included women. The mining industry holds one of the smallest shares of women on boards in comparison to other industries, with the exception of oil and gas. Arguments behind the lack of women in this industry often list inhospitable locations, too much travel, lack of women with technical skills, and cultural and health and safety issues.